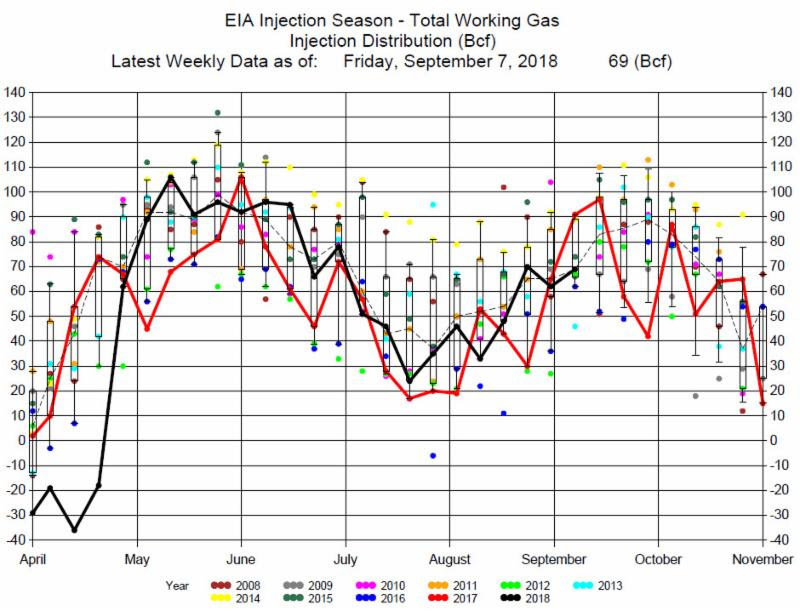 The EIA reported a 69 Bcf Injection for the week ending September 7, 2018. 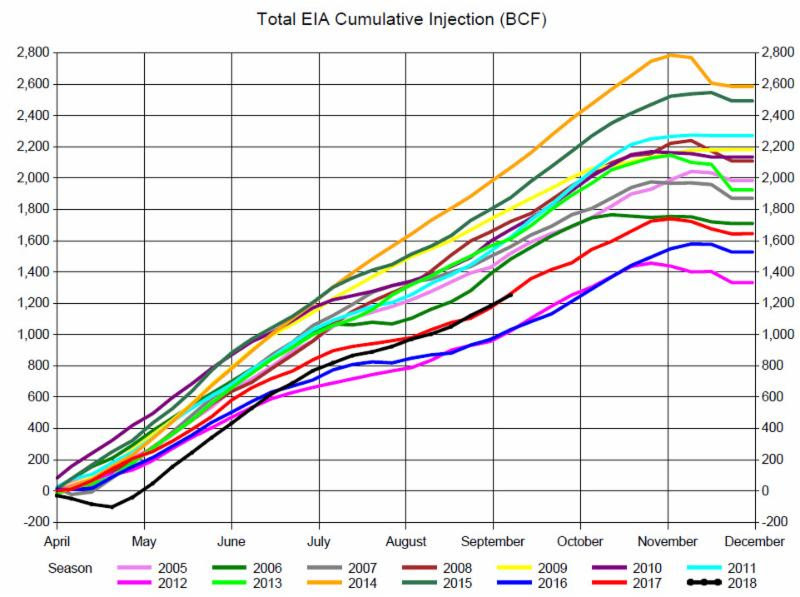 The injection was at the average for this week of the year, and in agreement with the average of expectations.. Expectations had a range from a 62 Bcf injection to a 76 Bcf injection. 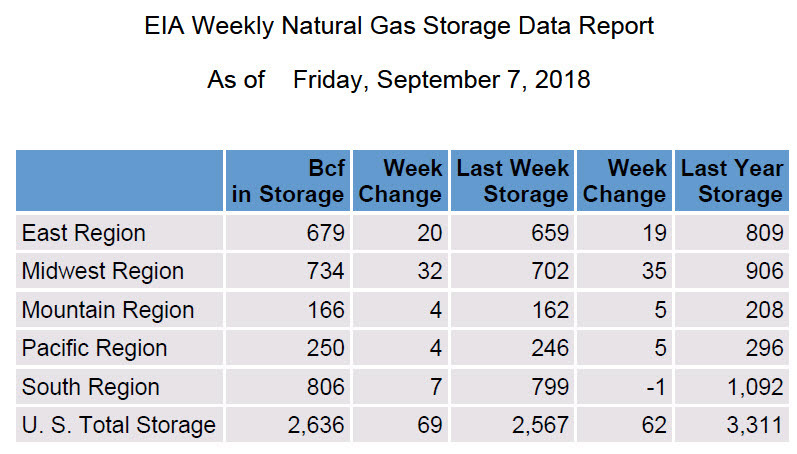 Again the storage numbers were at expectations so prices were relatively unaffected with the release of the report and traded sideways through the remainder of the trading day, ending down about 1.5 cents for the day. 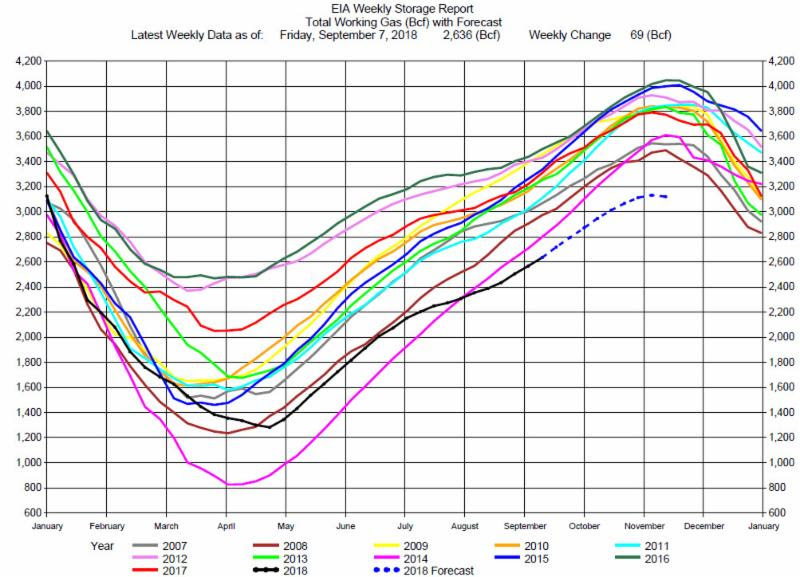 Prices remain range bound between $2.75 and $3.00. We still believe the fundamentals are bullish to price. So we still suggest consideration of trading from the long side, and especially if prices can break through the trading range above $3.00.